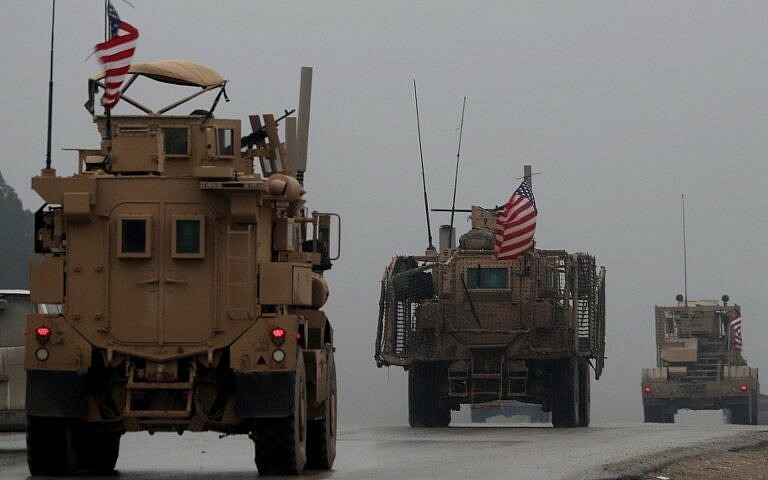 WASHINGTON — The Senate voted Monday to oppose the withdrawal of US troops from Syria and Afghanistan, breaking with President Donald Trump as he calls for a military drawdown in those countries. 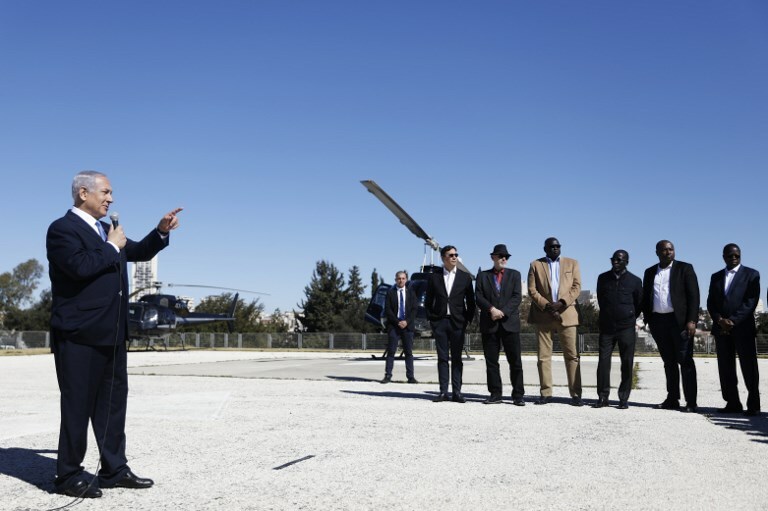 Trump abruptly tweeted plans for a US pullout from Syria in December, arguing that the Islamic State group had been defeated even though his intelligence chiefs have said it remains a threat. Trump also ordered the military to develop plans to remove up to half of the 14,000 US forces in Afghanistan. That bill has split centrist and liberal Democrats due to a provision from Sen. Marco Rubio, R-Fla., that seeks to counter the global Boycott, Divest and Sanctions movement against Israel over its treatment of Palestinians and the West Bank settlement enterprise. Israel sees a growing threat from the BDS movement, which has led to increased boycotts of the Jewish state in support of the Palestinians. In support of Israel, Rubio’s measures would affirm the legal authority of state and local governments to restrict contracts and take other actions against those “engaged in BDS conduct.” Several states are facing lawsuits after taking action against workers supporting boycotts of Israel. Hezbollah Secretary-General Hassan Nasrallah on Monday accused Prime Minister Benjamin Netanyahu of inciting Western powers against Lebanon, a day after the premier blasted the country for including the Iran-backed terrorist group in its newly formed government. “The new Lebanese government is not controlled by Hezbollah,” Nasrallah said in a speech broadcast by Hezbollah’s al-Manar TV channel. “The new Lebanese health minister is close to Hezbollah, but not a member of the party,” he said. 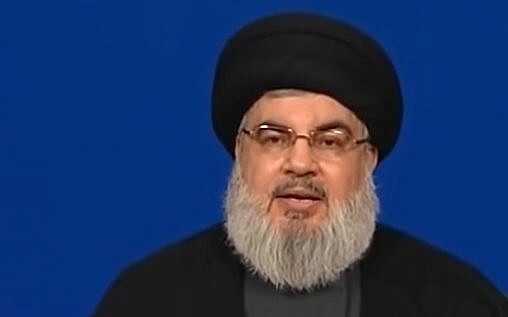 “The Zionist prime minister is inciting the US, European countries, and the Gulf states against the Lebanese government, claiming it is controlled by Hezbollah,” Nasrallah charged. Political factions in Lebanon on Thursday ended a nine-month deadlock and agreed on the new government, which saw a strengthening of the Shiite terrorist group. Hezbollah and its allies now hold two ministries and a ministry of state, including for the first time the Health Ministry, which has one of the country’s largest budgets. The Finance Ministry remains in the hands of a Hezbollah ally, Ali Hassan Khalil. On Sunday, Netanyahu told a group of 40 UN ambassadors that Iran was in control of the Lebanese government, via its proxy Hezbollah. Nasrallah’s deputy, Sheikh Naim Qassem, on Sunday responded that Israel was not ready for a conflict with Lebanon. Rival political groups in Lebanon had been locked in disagreement over the makeup of a new government since May, after the country’s first parliamentary elections in nine years. The breakthrough came after rival factions worked out a compromise allowing representation of Sunni lawmakers backed by Hezbollah. The new government will be headed by Saad Hariri, the Sunni politician who headed the outgoing government since 2016. The post always goes to a Sunni politician under the country’s political system. The government also sees an increase in the number of ministries affiliated with Hezbollah, which is under tightening sanctions from the United States that labels the group a terrorist organization. The group made significant gains in last year’s parliament elections while Hariri’s bloc lost a third of its seats. Raphael Ahren and AP contributed to this report.